“Let’s Advertise” - Best Grange Event Poster - Entries were posters designed, executed, and used by Granges for an event. 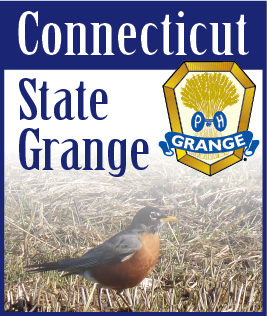 “Spreading the Word” - Connecticut State Grange Website Participation Contest -- This contest is based on numbers of submissions to the CT State Grange website. Cannon, Cawasa, Cheshire, Granby, Higganum, Hillstown, Norfield, Oxford, Prospect, Southington. Because both Bob and myself handle the website submissions for our respective Granges, we felt it was not fair to include them in the same running with the other Granges in this category. So we developed a special President’s Award for both Meriden Grange No. 29 and Winchester Grange No. 74. The contests for 2012 will have a few changes and additions. All the details will be released soon.